Perhaps you just purchased a house that you love, but the interior design simply doesn’t reflect your personal taste and style. Or, maybe you’ve become an empty nester and you want to renovate your home to suit your evolving lifestyle. Scenarios like these often call for a whole home remodeling project which – as you may be aware – can be an overwhelming, complicated process. When it comes to remodeling projects, you need to understand that remodeling a whole home takes time. You can’t expect that everything will be completed in a week, or even in a month. In fact, whole home remodels usually require demolishing a large portion of your home and renovating each room. As such, there are many different team members involved in the process. Take it from our team of experts at Republic West Remodeling, before you start knocking down walls, it’s important to do some of your own research and advanced planning, as well as talk to professionals about your ideas. As daunting as it sounds, it will definitely pay off in the long run. 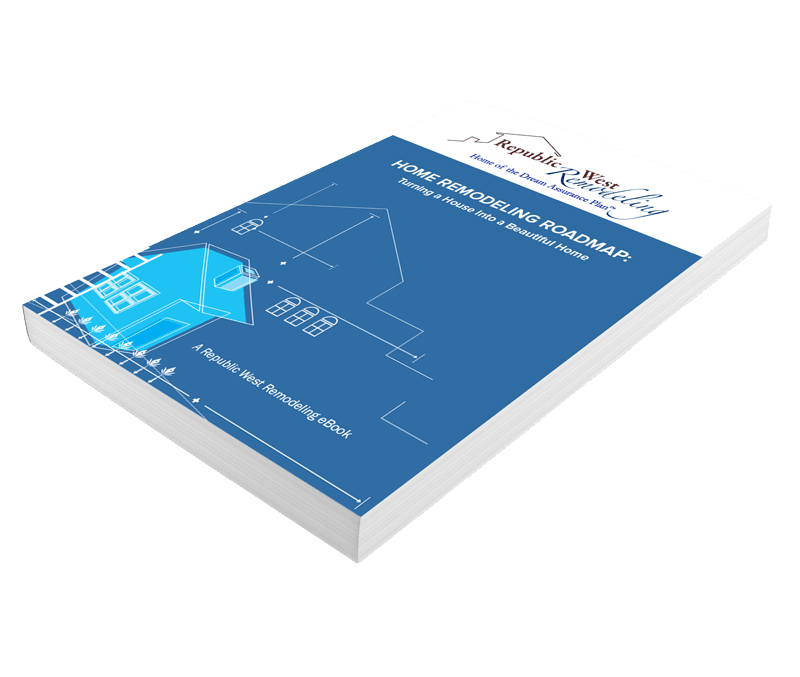 The new eBook highlights the various factors to take into account when thinking about taking the leap into a whole-home remodeling project. From assessing your current house and creating a wish list to understanding local building codes and securing financing, this eBook can help reassure you that, as professional home contractors, we aim to make the home remodeling process as pleasant and stress-free as possible.